9/2/2019 Handsome Dudley is so happy to be reserved at last and going to his forever home. 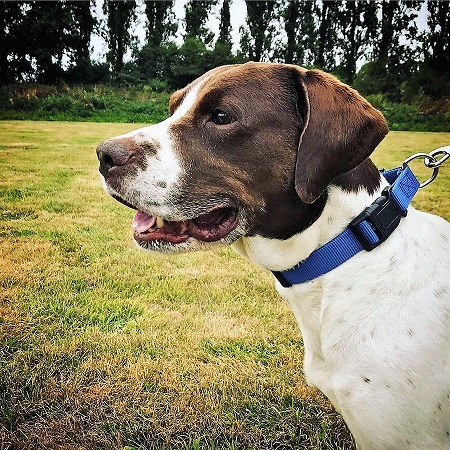 This is handsome Dudley, a 9 year old English Springer Spaniel/Staffordshire Bull Terrier who is residing with Leicester Animal Aid and waiting for a lovely owner to take him home. 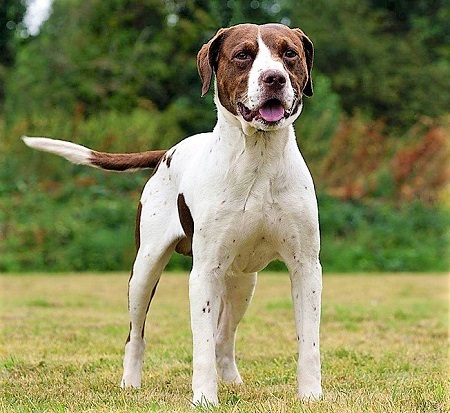 Dudley is an active boy who is very determined when it comes to getting the best out of life. So, don’t be fooled by his age, he loves to dance around with a toy is his mouth, a real comedian always putting on a show. Dudley loves to travel and is always ready to get his bags packed for the next adventure. 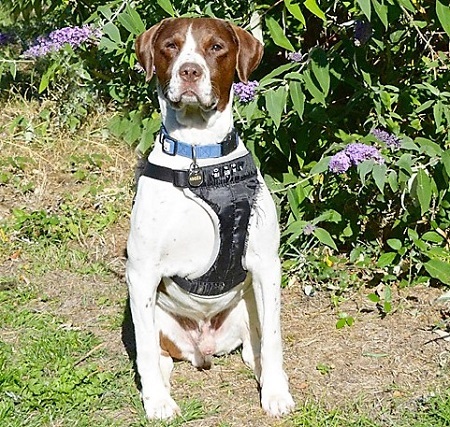 He enjoys a life that is full of mental and physical stimulation, so don’t be thinking he’s ready for retirement just yet. The fact that Dudley loves his food is a bit of an understatement and, sadly, he doesn’t believe in sharing, no matter how much he loves you. This is the main reason why he is in search of a new home without any other animals and with adult interaction. or fill in an Interested Parties Form here. 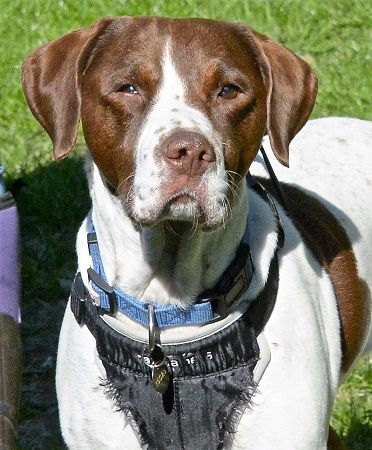 Please mention you saw Dudley on the Oldies Club website.